They are from Daisystreetshoes.co.uk they have some amazing shoes and clothes on their website that are bang on trend and affordable!!! I cannot wait to receive these in the post!! Hope you have had a good week!! eee i love the studded jumper! 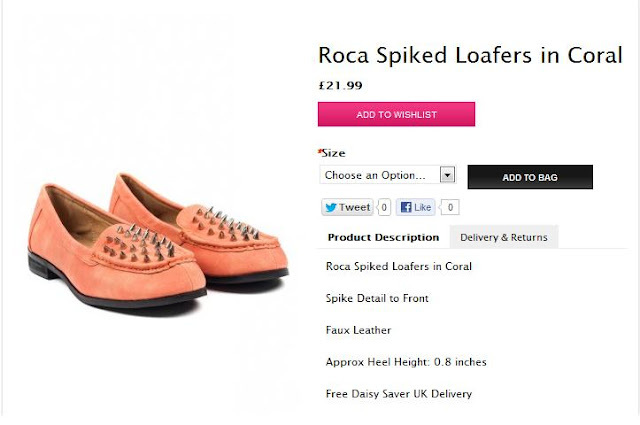 everything looks so cool, especially those coral loafers you bought! Everything looks great studded, this makes me want to stud my clothes!